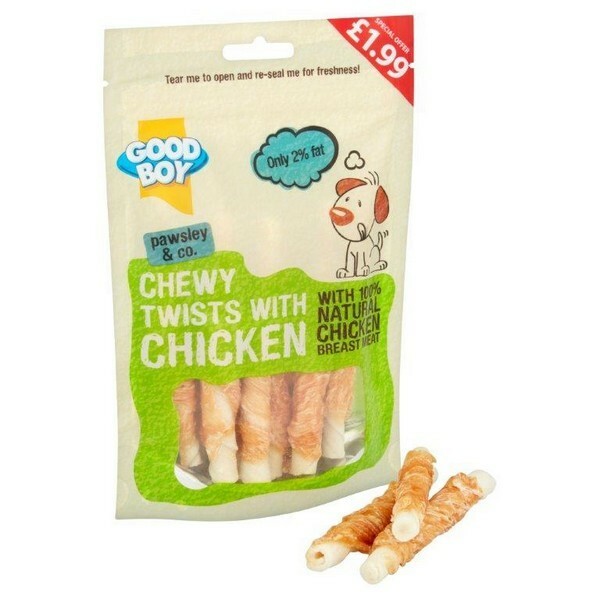 Chewy Twists with Chicken are made with super duper tasty 100% natural chicken breast meat so are sure to become one of your dogs favourite treats. 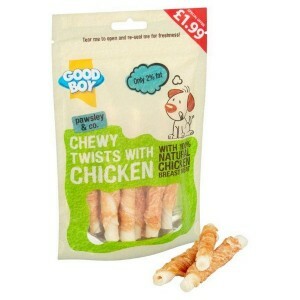 Lovingly packed in a handy, re-sealable bag, as well as being lip smackingly tasty they are full of natural goodness too. Chewing can not only provide your dog with stimulation but more importantly it may help reduce the risk of gum disease and tooth loss by helping keep your dogs jaws strong and teeth clean.